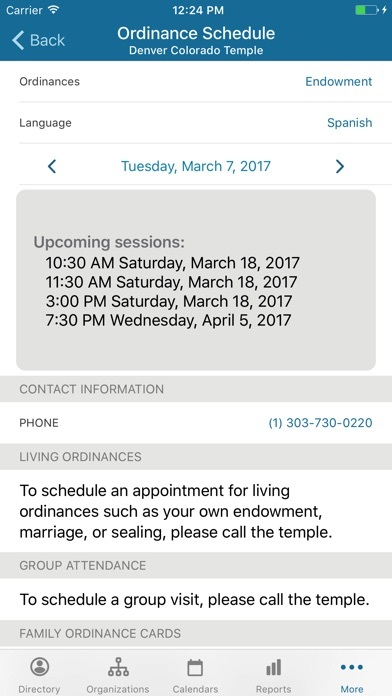 The LDS Tools app provides members of The Church of Jesus Christ of Latter-day Saints with the ability to contact ward and stake members, access event calendars, and locate Church meetinghouses and temples. Leaders can also access additional membership information and reports. I tried to sync and now I can’t sign in. It keeps trying to download. I use this on a daily basis with my calling....well, I USED to use it daily. This is a very useful app. But we have to sync regularly to make sure we have the latest updates. Unfortunately, the calendar regularly has issues with sync and instead of leaving the old information it erases the entire calendar. I would rather have potentially outdated information, than no information at all. Tried to send the elders in my area a referral. Wouldn’t send without a location added but also would not allow me to click and drop a pin on the right location. Ended up just texting it to them. Yesterday (Sunday) the app asked to sync, so I agreed. (Initiating on the clogged tri-ward network may be a key reason for the glitch this time.) Since then it cycles from trying to sync to asking for username and password. I've uninstalled and reinstalled at least 3 times, but can't get sync to finish. The last time something like this happened to me was maybe a year ago. Can't reach tech support directly because the app won't finish installing. Can't find an appropriate method for deleting leftover files on this iPhone, and the value of fixing is not even close to the potential cost of reseting my phone. I've learned to distrust this app because of these occasional catastrophic failures. I may try reseting my password just to see if it could get me past the current glitch. Hope a better base design is at least in the works. I just moved to a new ward, it's HUGE! I'd really like to be able to sync and use this app . I think you guys have enough reviews about this issue to confirm its worth immediate concern. I can not use this app therefore it's useless. I am sad. Hope you guys fix it soon. Started experiencing same problem as others, App won’t sync and it freezes up. App has regular bug issues but by far the worst thing is how the login is designed. I’m constantly getting asked to sign back in because of a limit set by the app. Which means I get locked out so often I just assume I won’t be able to get back in and therefore don’t even try opening it unless I absolutely have to. My banking app isn’t even close to as annoying. Need to delete and reinstall every time I want to sync. Reaching out to church support is less than helpful. Hoping a bad review might catch someone’s eye to actually address the issue. Find this really helpful, My only problem is in verifying my account number, sends me verification number via email and then tells me it’s not valid when I enter it. It's a good thing the gospel is not rated on how well this app works. After attempting to sync it freezes and won’t work again till deleting and reinstalling the app. App worked great for years now it wont sync and therefore will not open at all. I seen other similar reviews and it doesn’t seem like anyone is doing anything to correct the issue. I just updated this app and now I cannot log in. There is no error message, it just starts to try to sync and then jumps back to the login screen. -when I click on contact us to report a bug it says “invalid email” -when I go to “birthday list” under “reports” the screen goes black and then goes to my home screen. I can reopen the app but the same thing happens. I tried uninstalling and reinstalling the app but that didn’t help. It works as a directory just fine. But if you try and use other “tools” it has less than reliable results. I’ve reached out to the app support a number of times and just been told to restart the app. 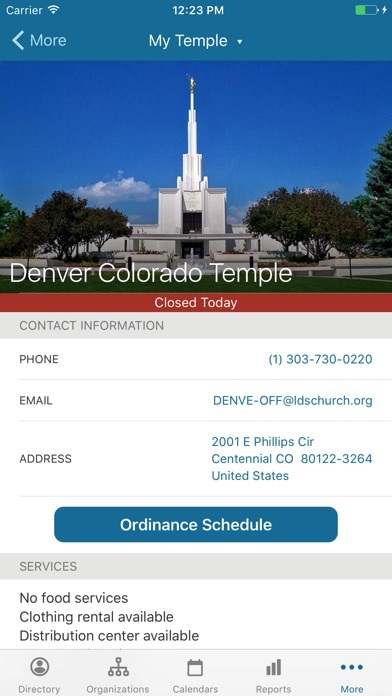 This has been through numerous updates, and the issue with the temples crashing whenever you try to look at a schedule or other info on a temple that is not your assigned one by the area. It happened when searching by name or nearby, and even happens on the assigned temple if you try and look more than a day in advance for a session schedule. Like many others the app forced me to sign in again with username and password after having used the thumbprint for a while and won’t let me sync, just takes me back to the sign in page. I’ll update this review it it gets fixed but currently the app is unusable. Very useful app if you can get it to work. I use an IPad and I updated my IOS software. When I download the app it says I need a older version. I download the app and then log it. It never stops downloading the data. Left it on all night. This has been a very buggy app that is great when it works but most of the time it does not and it always tries to update which takes forever if it works. Suggestion: Rewrite the app. Stop updating the data so often. The dates on the birthday list don’t always agree with the dates on the membership information. Works great. Especially when you have leadership privileges. I would like to see more access for those not in leadership positions. 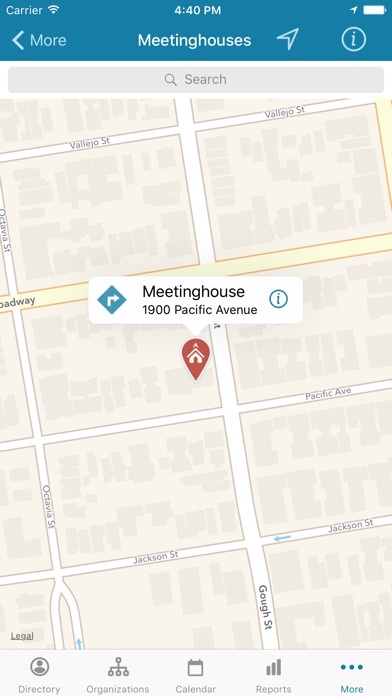 Especially showing where people live on the map and other ministering assignments. So annoying that photos don’t always load. I have an iPhone 10XS Max, my wife has an iPhone X and my daughter has an iPhone 8 Plus. We all have this problem with photos not loading. After the latest update, I was not able to get past the login screen. I was using faceID so I thought it a little strange. 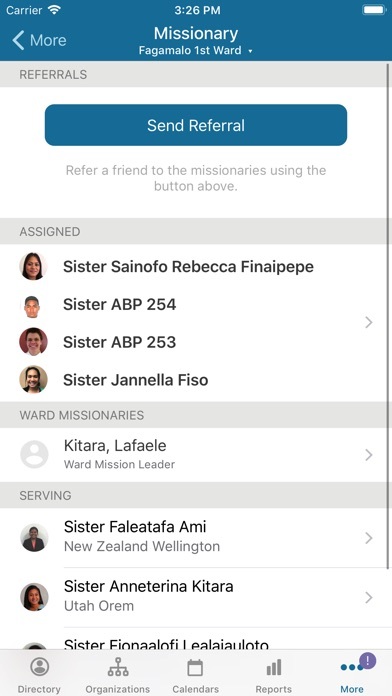 But after trying for a couple days to get in by retyping my username and password (that works on lds.com, so I know that’s not the issue), I deleted the app and reinstalled it. Now it goes to sync and when it’s almost done it jumps back to the login screen. I’ve done this a few times on WiFi and using my phones data with no luck logging in. I really like this app and use it to update my contacts often. I hope this can be resolved soon. It will not accept the answers to my password change. They are easy to answer, and I set them up myself!!!!! Unable to open the app on my ipad. And when I open on my phone, I can see everything but my own ward info. I have access to the other wards in the stake, but not my own... This is really frustrating. The actual features of the app are great and I love the UI. However, the Touch ID feature is only enabled for a few weeks or month (not exactly sure) and then I have to sign in again. Not convenient at all. Also, when it forces me to sync it signs me out and then when I try to sign back in I am unable to do so. I tap ‘Sign in’ but nothing happens. I am unable to use the app for a while. Typically I check back a several days later and “magically” I’m able to sign in again. Very frustrating. I use this app all the time and it works amazing! 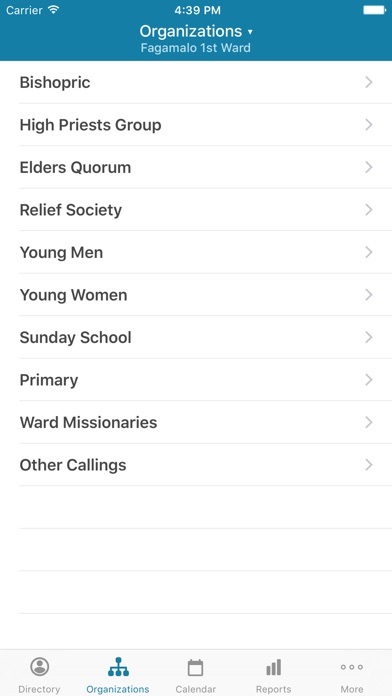 So glad we have an app like this now and how we can easily connect with the missionaries as well. There are only two things I would want changed to this app. First, is to be able to save events to other calendars than just apple calendar(I have an iPhone). It won't let me choose my Google calendar to transfer an event from the app calendar to my calendar. Second, it would be amazing to be able to add events in the app and not have to go to the website to do it. Thanks for all the amazing improvements that you keep putting into the app. I use this app often. I have been trying to sync this app since Sunday and it was telling me it couldn’t download because LDS.org was down. So I waited and have tried a few times since with not success. Currently it asks for my name and password, I fill it out it starts syncing and at about 75% it asks for my login info again. When I enter my name and password again the sign in button won’t work. I reset my password, and deleted the app and re-installed it with no success. I hope this gets fixed I use this app pretty regularly. I have read so many complaints about login and synchronization issues, but the problem persists. This number one issue with the app needs to be resolved. Then maybe more people could/would use it. This app has never worked. I’ve deleted and re-downloaded several times, crashes too often. I thought it was my device, but it seems to Happen regularly on the iPhone, and the iPad. I’m frustrated with this app. 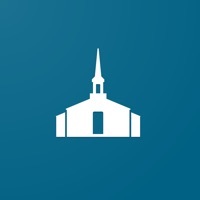 The church has moved to have everything on this app. It is very useful when it works. However when it doesn’t work I feel like I am locked out and being able to do my calling. I can’t get my member number to sync. So I can’t see my ward anymore. I can’t get numbers and addresses. I’ve sent 3 unanswered emails to the support and no one has contacted me or fixed the issue. I have used this app for a long time but lately every time I open the app it wants me to do a sync. This happens whether it’s been a day since I used it and “synced “ or an hour. I thought we only needed to sync every thirty days. I’m getting pretty annoyed. I have the correct login and password and the sync will not download. I’ve deleted the app, restarted my phone and reached out to tech support and nothing has changed! App is locked up. It will not sync and now I can’t use it because I am stuck in the sync screen. I have deleted and reloaded, checked my password, nothing works. I know my password is correct, I can get into LDS.org. When the app worked it was good, now not so much. Sorry can’t log in , check login and password to make sure they are correct but it is the submit button that is broken on the iPhone 7. Mine keeps dumping and I have to reload it all the time. Makes it hard to do my calling when I need it. Please fix the bug that prevents adding contacts to phone from directory on iOS. This used to work and now does not. Love the app, but the “add new contact” for iOS function has not been working with the latest update and it’s driving me crazy. Please fix that bug! Sometimes this app is a bit buggy, but other times it’s more useful than the website. Hoping we see a bit more defined parity in the future. I’ve never had a problem in the past with this app. All of a sudden the past month and half it will absolutely not synch. I’ve tried everything to try and fix it. I can’t log in at all and have to go on the website constantly which is much harder to navigate quickly. It works fine on my husbands phone and we have the exact same phone. The only thing I can think of is I updated my phone and my husband has not. I’m hoping an update will come out soon that can fix this problem.